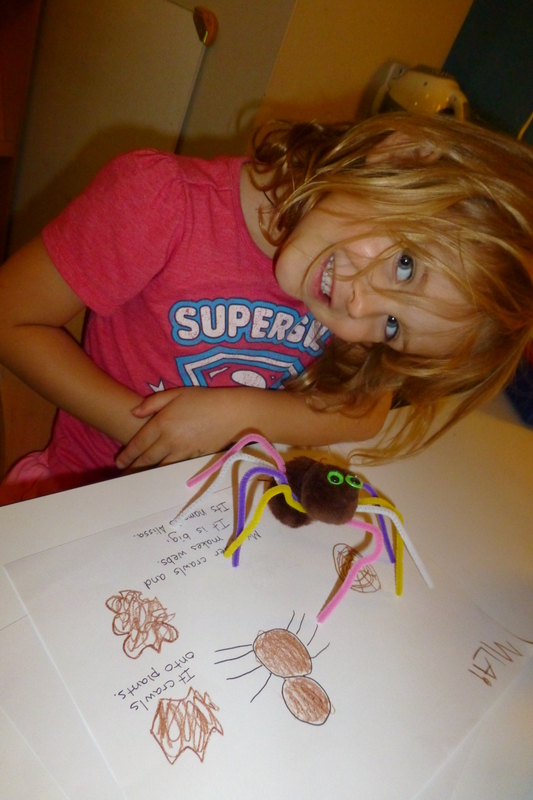 Last week we made our own adorable spider pets. They traveled with us to Music and Dance class. They joined us while we read, “Spider on the Floor” by Raffi. Eventually, we decided that they needed names. Each child recorded their spider’s special name and some interesting facts about them. A few of the children described their spiders while others wrote tales of adventure for them.